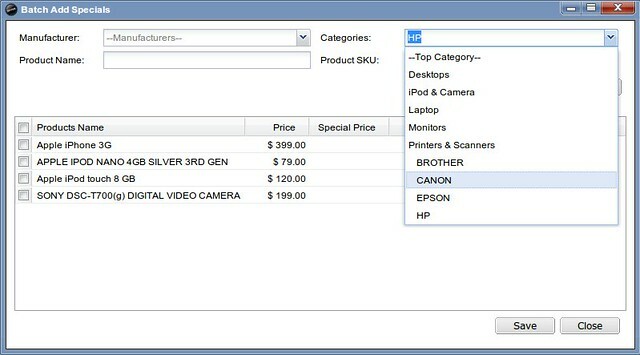 If you press Start>Catalog>Specials>Add batch Specials and try to look for products in category, then all would work fine, But if you select subcategory (for example Printers & Scanners > HP) you will get empty result. 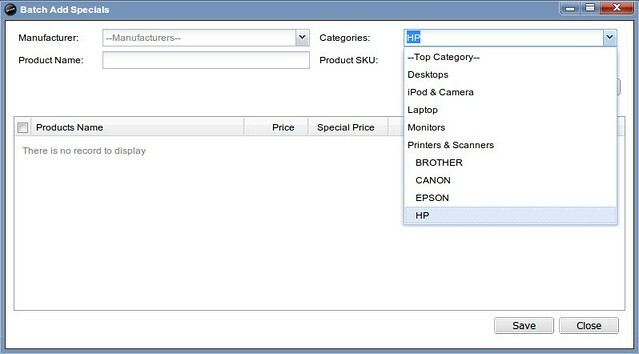 So I think there is some coding problem, so search look just for category name, but not sub-category, as Printers & Scanners would display all search results good, but Printers & Scanners > HP would display empty. 2. Decompress the package and copy the ‘admin’ directory into the TomatoCart root directory on your web server.